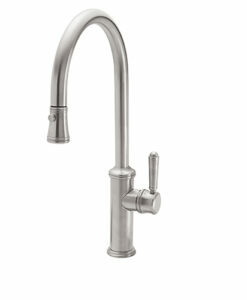 An exquisite faucet that’s perfect for home chefs and foodies. 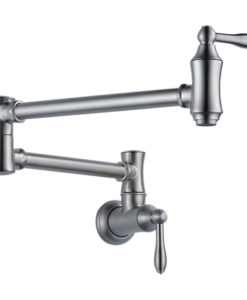 Waterstone’s innovative traditional Pull Down Kitchen Faucets adds a professional-level functionality when cooking with family and friends. An old world design that accents today’s kitchen trends of simplicity and function. Food prep and clean up are made easy with our unique “PLP” sprayer. The standard reach Positive Lock Pull Down sprayer can be used to reach every corner of the sink when rinsing food or during cleanup. 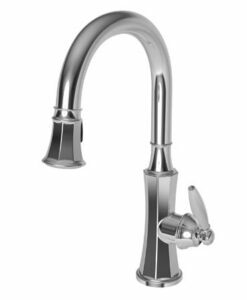 A flexible braided hose moves with you while the counterbalanced weight prevents the tug-back most Pull-Down Faucet users experience. Sprayer then easily slides back up and “locks” into place. 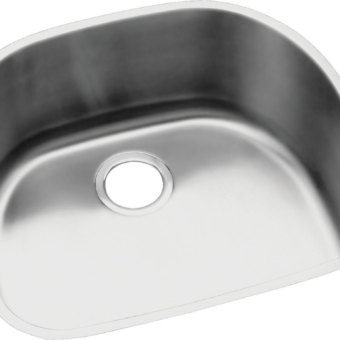 This innovative PLP design holds the ergonomic handle in place and prevents sag when not in use. 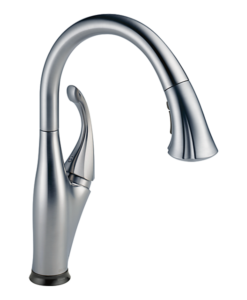 Water control handle adjusts up to 22.5 degrees, right or left, for clearance from backsplash. 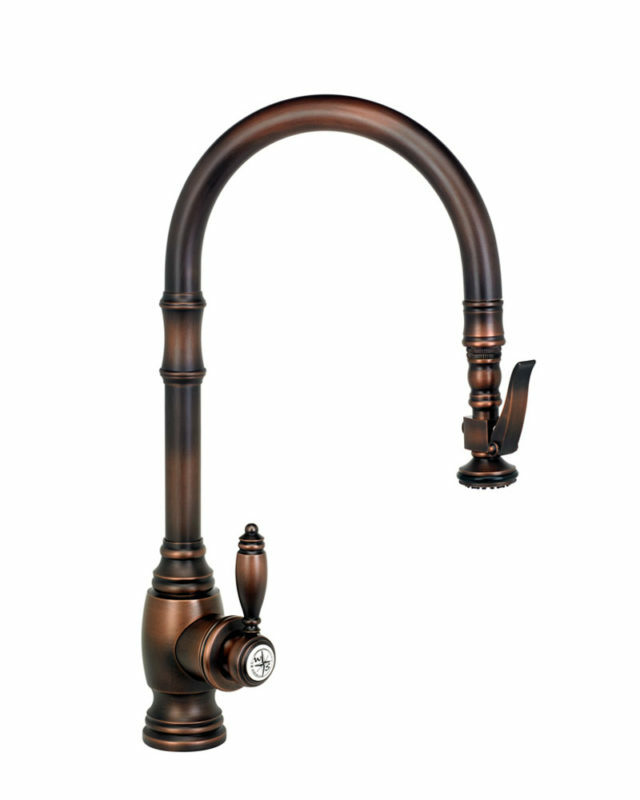 Traditional style Pull Downs can be “Suited.” Add matching faucet accessories. 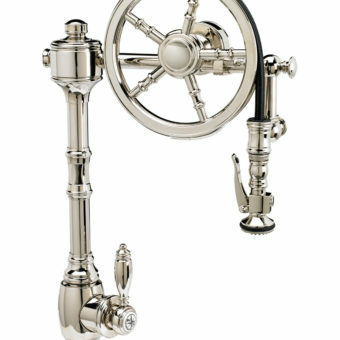 Soap/lotion dispensers, air switches or dishwasher air gaps create an amazing collection of kitchen faucetry for the kitchen sink area. Traditional models include three decorative handle buttons. Solid brass. Available in 33 finishes. Designed, engineered and proudly Made in the USA.